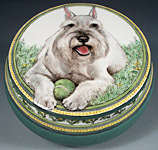 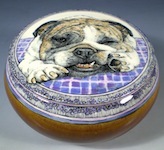 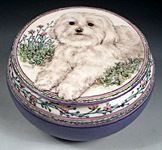 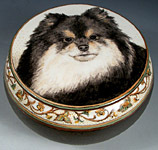 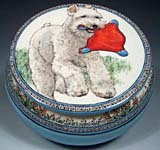 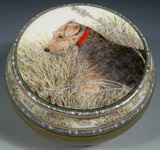 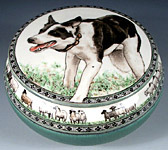 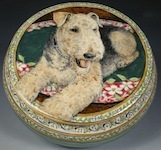 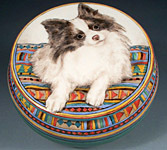 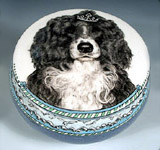 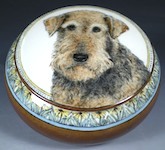 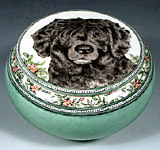 Favorite Pets Immortalized on a Porcelain Pot! 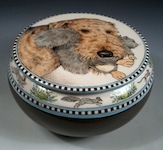 These pots were made to celebrate the special dogs, cats, rabbits, even a few fish, that have shared our lives. 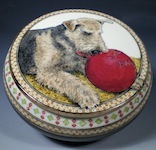 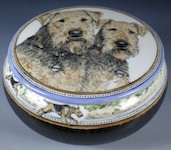 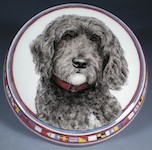 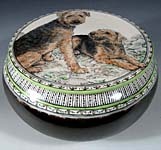 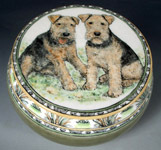 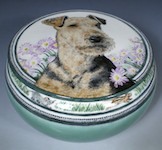 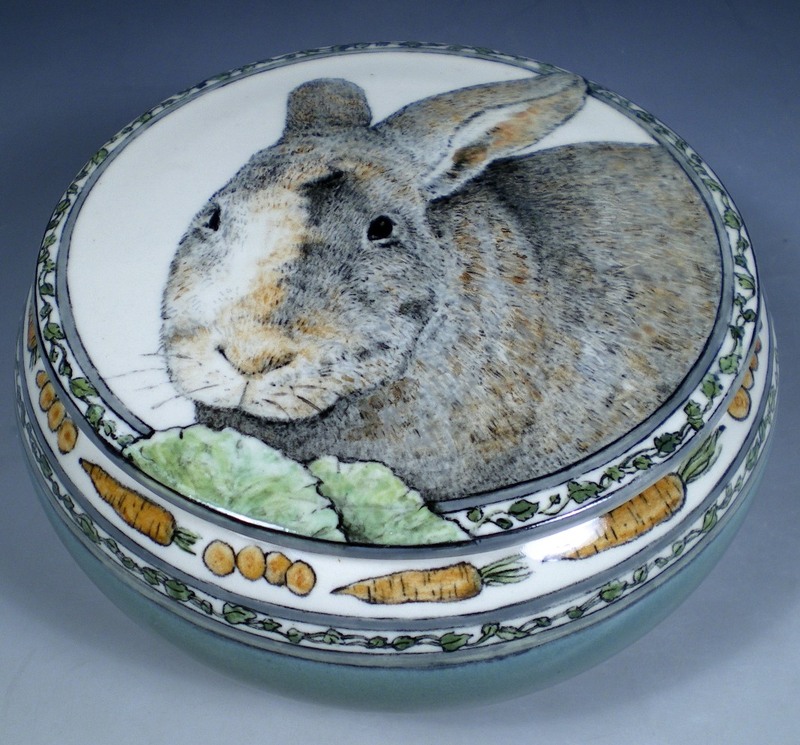 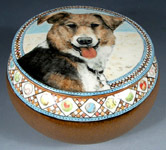 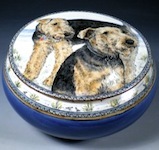 Each is pot unique, meant to be a memory of time passed together, an heirloom inspired by pets not to be forgotten. 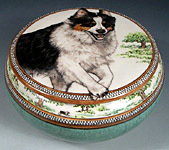 The pots are between 5" and 6" wide and 3 1/2" high, varying slightly in size. 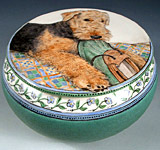 Click on the pots below for a closer look! 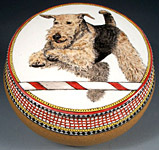 We've done our best to represent colors accurately, but the color calibration of the computer monitors can vary considerably.